From June 11 to June 15, nothing is going to be more important than Apple event - WWDC 2012, held in San Francisco. Different from what was seen last year, this conference focuses on not only new software, but hardware as well, ranging from iOS 6 to MacBook Pro, iPhone 5 to Mountain Lion. Keep your eyes on this site, and you can get the information whatever you want. Unveiled by Scott Forstall on Monday at WWDC 2012, iOS 6 did surprise us as it featuring more than 200 updates and improvements when compared to iOS 5. Apple’s iOS 6 is said to be moving forward with Facebook, making it easier for Apple device users to post Facebook status updates within Apple's apps. Most notably, one of the biggest changes, though, could come in maps. According to what WWDC revealed, the new mapping tool for iOS devices offers turn-by-turn navigation, integration with Siri for commands, and the ability to submit anonymous traffic/incident reports. Apple lovers who expect to get a much closer look at Mac OS Mountain Lion, the new operating system, shall further pay attention to WWDC, as it will be announced by Apple on June 11, 2012 at this conference. Just as Philip Schiller said: “The pace of innovation on the Mac is amazing, OS X Mountain Lion comes just a year after the incredibly successful launch of Lion,” this world’s most advanced desktop operating system contains more than 200 innovative features including Notification Center, Facebook integration, system-wide Sharing, Game Center, and so forth. With iCloud built into the foundation of OS X, Mountain Lion makes it easier than ever to set up your Mail, Contacts, Calendar, Messages, Reminders and Notes. What is highlighted at WWDC 2012 is the refresh of the MacBook Pro. There is obviously considerable interest in how the new model compares with the previous one, which continues to be offered in both 13-inch and 15-inch sizes. However, the most exciting rumor is that Apple could announce a flagship 15-inch MacBook Pro with a Retina screen, offering the same high-resolution display as the new iPad launched in March. Though the starting price of MacBook Pro with Retina Display is $2199, it may very well be worth every penny as this new generation touts all the new additions and features. Fueled by the increasing popularity of Apple devices, you absolutely make them your own, because it brings much more entertainment with those apps on the new MacBook Pro, like appreciating movies for visual enjoyment on iPhone, iPad, iPod. Unluckily, you may face problems in making a backup of your DVD movies on your MacBook Pro or ripping your favorite DVD segments to iPhone, iPad, etc. Is there a reliable Mac DVD ripper in the market, helping you eliminate the troubles? The answer is yes! MacX DVD Ripper Pro is one of the few solutions on Mac, helping to rip DVD to any video formats like MP4, MOV, etc for playback on iOS 6 devices. Siri speaker vs Amazon echo, which voice controlled speaker is better fitted for your daily use? Learn the detailed comparison between siri speaker and alexa echo before you make the final decision. 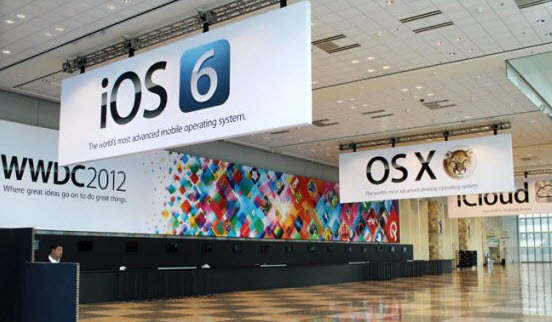 WWDC 2015: Most Anticipated iOS 9, OS X 10.11, Beats Music Will Launch or Not? WWDC 2015 coming soon, wonder what Apple will launch this time? iOS 9, Mac OS X 10.11, new streaming music service, iTunes Radio, revamped Apple TV box, new iPhone/iPad? Let's have an analysis together. Apple launched the new MacBook Pro after much rumors and anticipations. The article will introduce the new features and functions on this new MacBook Pro and give a recommendation of best DVD & video software for this new MacBook Pro.